← Budget Animal Removal Invites You to Check Out Our Brand New Website! Here at Budget Animal Removal, we get a lot of the same questions regarding our standard nuisance wildlife abatement services. From methods and equipment, to business hours, prices, and more, our clients want to know how we operate. So to acquiesce, we have gathered together the most frequently asked questions about wild animal removal and control, and answered them for you! Continue reading to review them all! Here at Budget Animal Removal, we provide services for all Indiana wildlife species, with the exception of waterfowl (ducks, geese, etc.). Along with residential and commercial animal extraction service, we also offer wildlife proofing services to ensure future infestations do not occur, as well as, wildlife cleanup and decontamination and minor attic restorations to repair animal damages. We also offer full-property inspections, free estimates, free advice, referrals, 24 hour emergency service, and homeowners’ insurance claim work for animal damages. Do You Provide Animal Removal for All Animals? We only work with species of wildlife, such as bats, raccoons, squirrels, skunks, opossum, moles, voles, groundhogs, muskrats, rabbits, and similar mammals. We DO NOT provide services for cats, dogs, injured or orphaned animals, or waterfowl. Waterfowl includes ducks, geese, swans, herons, and similar water-bound birds. Do You Use Poisons Or Chemicals? Our certified professionals adhere to all industry-accepted standards and best practices, as well as, operate within all local, state, and federal laws that govern wildlife. As a non-lethal company, we use a careful and concentrated approach to accurately identify, locate, extract, and exclude any species of nuisance wildlife using a variety of non-lethal methods,including live traps, artificial hormones, state of the art luminosities, and automated static noise devices. We always make sure to avoid non-target animals, and we never use poisons, repellents, fatal devices, nor environmentally-damaging or toxic products. What Do You Do With The Animals You Trap And Remove? After animals are extracted from a property, those that are suspected of illness are sent to a lab to be tested for Rabies. Following testing, healthy animals are released back into nature in a faraway habitat (at least 10 miles) where they can live out the remainder of their lives in peace and harmony. However, in most cases, our DNR licensed and insured wildlife abatement specialists are required to follow the local animal removal ordinances. Will a Bat in the House Attack Us? Bats are timid and cautious mammals. They prefer to keep to themselves, and are more afraid of you than you are of them. They will usually steer clear of humans and other animals, but there are exceptions. If you provoke or scare a bat, they could attack in self-defense. Also, if a mother bat is protecting her young, she could retaliate against any suspected threats.And last, if a bat is sick or infected, they could demonstrate erratic and aggressive behaviors. These are just more reasons why you should NEVER attempt to remove a wild animal on your own. Do Wild Animals Have Diseases? All mammals are capable of being carriers or transmitters of infectious or contagious diseases. Animals like bats and raccoons are known carriers of the Rabies virus and other common transmissible illnesses. Aside from disease, wildlife infestations in the home can lead to various health implications for both humans and pets. Furthermore, they can bring pests into the home, like lice, mites, and gnats. And when they are infesting an inner area of your home, you can expect it to be a highly unhygienic environment. What Should I Do If There Is A Wild Animal In My Home Right Now? Never under any circumstances should you ever attempt to remove a wild animal on your own. Not only does it require specialized equipment and procedure, there are many local and federal laws that govern wildlife tampering, transportation, trapping, and more. For these reasons and for reasons of safety, always contact our DNR licensed and insured animal removal specialists for safe and humane assistance. 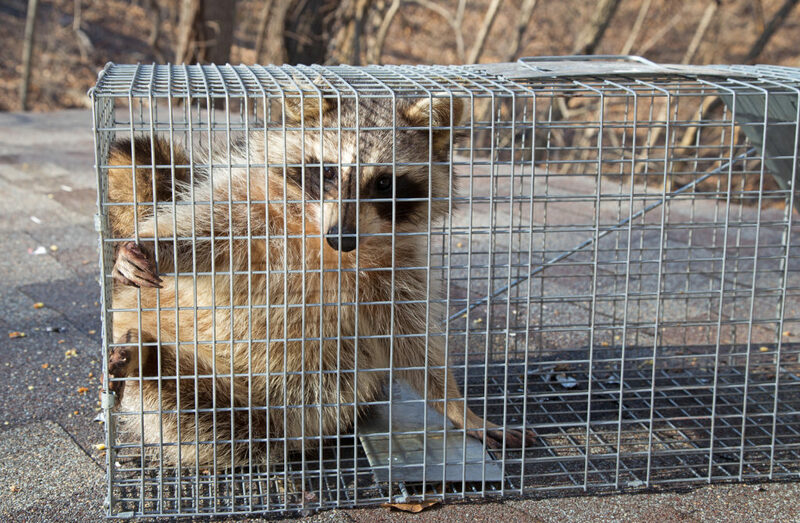 We offer 24 hour emergency wildlife removal, so give us a call anytime! Contact Us Today for More Answers to Your Questions! Call Budget Animal Removal at 317-875-3099 for fast and affordable wildlife removal services in Indianapolis, Indiana. Our DNR licensed wildlife removal specialists offer wild animal abatement services, cleanup and minor restorations for animal damages, 24 hour emergency service, free estimates, and more! Request a free estimate, today. This entry was posted in Wildlife Removal and Control and tagged FAQS wildlife removal, frequently asked questions animal removal, wildlife control Indianapolis, wildlife removal Indianapolis. Bookmark the permalink.